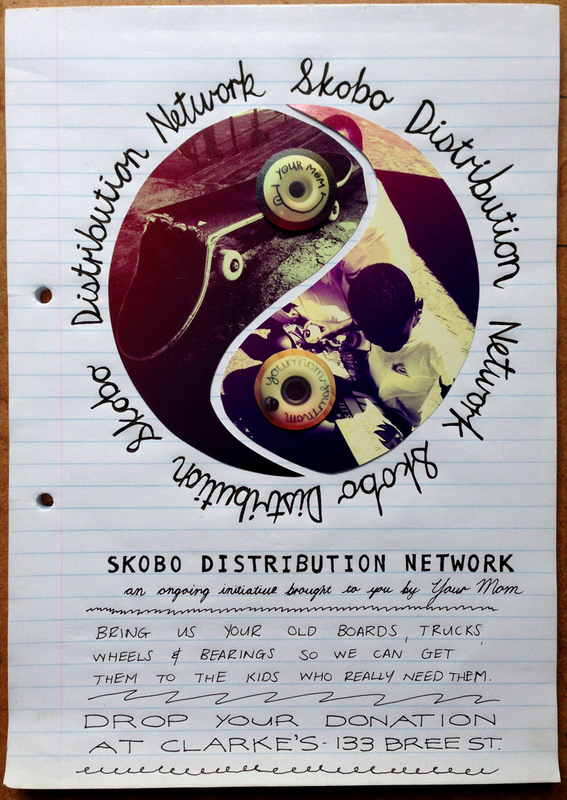 The Skobo Distribution Network was formed by Your Mom’s Wheels as a way to distribute the surplus of local skateboarder’s old and unused skateboards and other hardware to the kids who are learning to skate but have no equipment. It’s an ongoing project and you can drop your old boards, trucks, wheels and bearings at Clarke’s Bar and Dining Room on 133 Bree Street, Cape Town. The first lot of product collected will be given to a group of kids in Woodstock who often have to share a board with three or four people at a time.